The new agreement is signed that makes Google the default search engine for at least 3 more years. The money is badly needed for the open source project to deal with many future challenges. Recently, Google Chrome surpassed Firefox in usage, and Mozilla is having a hard time to optimize Firefox to keep up in terms of speed, minimizing memory usage, and security. 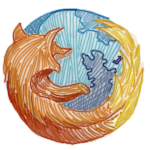 While the progression is good, Firefox likely seems to need a complete revamp. This is not working without enough funding. Google has been a reliable partner in the last years, and will be for the coming. Google does fund many OSS-projects. In this one, Google gets something back. The default preselection of the search-engine is something companies fight over very hard. It's directly related with the income of Google. So the logical and perfect synergy lasts longer. It also destroys recent chatters that Google may not renew the agreement, because of the bigger share with their own Chrome-browser. Google is no Apple or Microsoft. It doesn't drop partners that easy.